I still haven't finished my birthday and thank yous because of school functions. My son and I went on my daughter's 2nd grade field trip yesterday and taught a bunch of them how to play Zookeeper. It was lots of fun, but I'm really sore today. I thought I was in better shape than that! Also adding to the craziness was the email project acceptance for Paper Crafts. It was my first, and I'm still expecting that email that says they've changed their minds. Well, I say first, but I'm sure this was just a fluke and it seems arrogant to imply that there will be more. As excited as I am, arrogant people drive me nuts so I try not to be as much as possible. This is a birthday card for my niece. I got a box of goodies from Bella Boulevard's warehouse box sale a couple of weeks ago and had to play with it ASAP. This is yet another teacher thank you. It seems appropriate for the preschool teachers since they are the ones who got my kiddos off to such a great start.I actually used two itty bitties on this one, but one is a hot air balloon backwards so that I could get the right shape for the balloons since I can't draw. 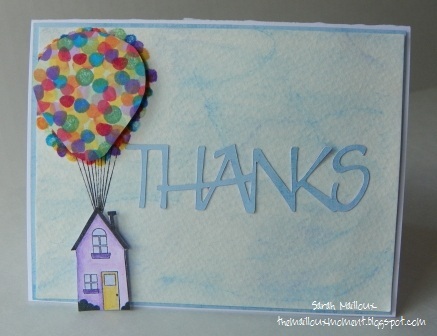 I stamped the balloons with pencil erasers on two levels to give it some dimension. I wonder if dimensional glaze on selected balloons would add just a bit more, or just settle over the entire thing? Super cute cards and a BIG congrats on your acceptance email, how exciting!!! Two great cards! Congrats on the acceptance letter for Paper Crafts! What a cute card and congrats on your acceptance email! Great cards- very fun! Congrats on your project acceptance. I bet that was just freaking exciting! I remember my first one, I jumped around and screamed like a crazy woman!! Hi Sarah! Love both your cards!! The balloons are so cute - I adore it!! Big Congrats on the PC acceptance, how Awesome!! Looking forward to your copics projects soon ;) Have a great weekend, Sarah! These are great, Sarah! I remember the end-of-year rush! Must say that I am glad to be past it. Congrats on your letter from PC! These are both so cute!!! And congrats on the publication! It really is exciting! Adorable cards and CONGRATS on the publication acceptance!!! Love the cards! And congrats!!! Anyway, I run and run and run and I'm always amazed when a different activity leaves me sore...you know it's just THAT muscle whatever it was, wasn't used as much! Cute cards! Love Bella Blvd! And congrats on getting a project accepted! Great cards. Congrats on your acceptance. Bask in it, you deserve it. Enjoy the ride, wherever it takes you. 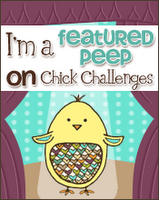 These are wonderful...fun colors and images!! 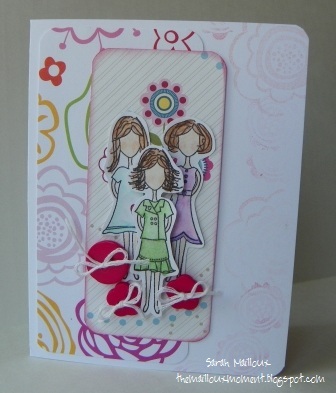 Fabulous cards!!! I love how creatively you transformed the hot air balloon stamp! That is so cool!